Mobile card payment service Square is evolving its business once again by looking to cater to more individualistic needs. Today the company publicly launched its Square Cash service, its peer-to-peer money exchange product. 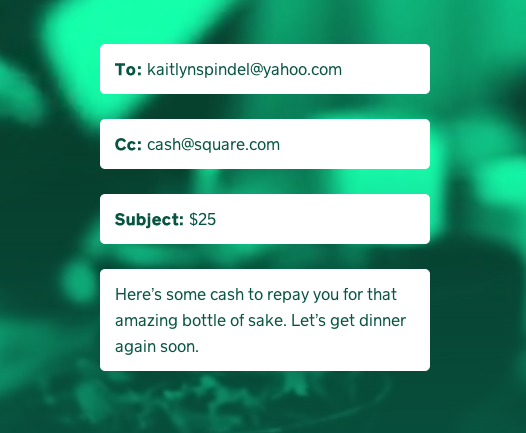 Beginning today, users can send money to their friends just by sending an email — that’s it. Currently it’s only available to those in the United States and is free to use. This isn’t the first time Square Cash has been in the news — in May, the company teased its newest product, but it was by invite only to just Square’s friends and family. Now, it’s open to the public. Anyone can use the service — there’s no signup process. 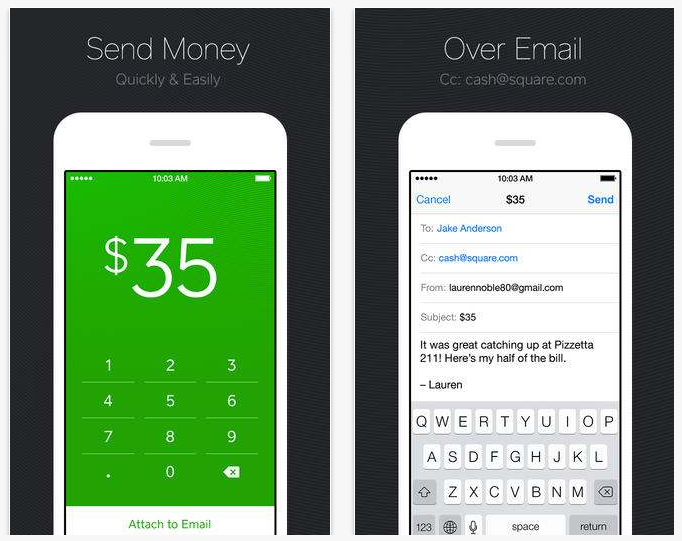 Users can transfer money between persons simply by sending an email anyone while cc’ing cash@square.com. In the subject line, insert the amount that you want to send and then include a message in the body of your email. Once the email has been sent, the sender will receive an email prompting them to link their debit card accounts to help fund their payment. Recipients can only receive payment once they too have entered in their debit card number. From there, any future transactions will be processed automatically. The company says that Square Cash will work across any email client, whether it’s Gmail, Yahoo, Mac Mail, Android Mail, or Outlook, and across any platform as well. Email doesn’t suit you? There’s an app for that — literally. Square has developed an iOS and Android app specifically to address this concern. The timing of this launch is noteworthy as the company looks to remain competitive against PayPal. In September, eBay acquired Braintree, the makers of Venmo, which will probably see its peer-to-peer functionality integrated with its payments platform. With the popularity of mobile payments services, it’s easy to see how customer-merchant transactions can be processed. However, has the ability to transact amongst friends been addressed efficiently? Square hopes Cash will help it accomplish this task. Square Cash is free to use, no matter whether you’re sending or receiving payments, and the funds are directly deposited into the receivers bank account — no stored balance accounts. Square is not taking any percentage of the transaction. Sadly, although Square’s products is available in the US, Canada, and Japan, Cash is only available in the US (for now). The introduction of Cash to Square’s arsenal certainly helps complete the circle of products and its appeal towards various audiences. It now has products geared towards consumers and independent contractors/freelancers, consumers and retail stores, and now consumers to consumers. What’s more, while it’s known for its well-designed card reader, Square is expanding its offering to be more software-based — the company is more than just hardware and now you can use Square anywhere.